Being hungry 20-something, young men, we’ll talk plenty about cutting food costs, while on the road (hint, highlight those important meals you need to have in a locale, and hit cantinas, markets or cook your own food when possible otherwise). Transportation, too, will be a topic of conversation, as we, too, are already experiencing some headaches around that. But housing is the great variable. 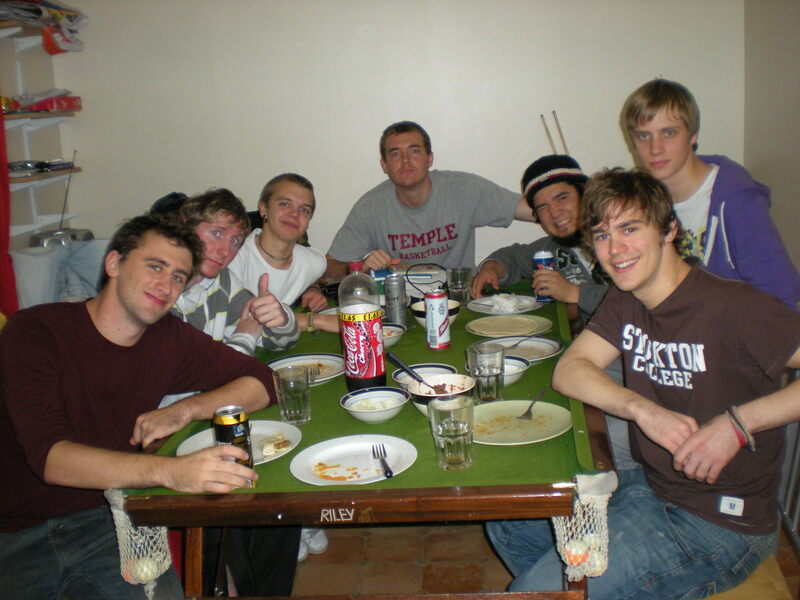 Every knows about hostels - which are great. We’re expecting to spend 10 to 20 euros ($18 to $35) a night per person when we use hostels. But those are still big purchases. What’s better yet? Making friends, using them. Two ways, network. Sean and I both reached deeply into contacts we have made in the past - so whenever you meet someone who lives abroad keep in contact with them and offer them your place to stay in return - and we will also use CouchSurfing.com throughout our jaunt. More on that in future posts. Here in London, England - one of the world’s great expensive cities - we’re crashing in Hackney Wick, East London with a few buddies of Sean’s brother Brian. Few housing, showers and good company for doing dishes, sleeping on the ground and cooking a meal or two. Sounds great to me. We’ll talk more about using friends, couch surfing and using the benefits of hostels, too. Any advice out there?